Many of us go through life wanting more. We want a bigger house, a better car, a boat, a pool, a new ipod. We hanker for these things, but we really don't need them. In today's picture book you will meet a family who keep adding to their home not because they want more for the sake of wanting more. Instead, they need more space because they want to provide for others. They want to give a home to people who really need it. It all begins very simply when John William Smith builds himself a home on the top of a hill overlooking a lovely valley. It is just a one room affair, and it is all John needs until he starts to feel lonely. It isn’t long before John has brought a young wife, Annie, to his home on the hill. Annie is a wonderful wife who takes very good care of John. Over time the couple need more room, and John gets out his tool box and begins to build; first there is a pantry, then a nursery, then some bedrooms for John’s parents who are coming to live with them. More and more people are added to this family, people down on their luck, people in need of a home and companionship, and people whom John and Annie kindly take into their hearts. The house gets larger and larger until John’s wife says “I think we need…another house added on to this one.” And so the family continues to grow. The goodness and generosity of John and Annie is heart-warming and reassuring, for we cannot help noticing that all the relatives and friends who move in are people who are in need of help and a home. As we read this picture book, we watch the family grow and expand, we see more and rooms being added so that there is place for the new arrivals. Based on the true story of a Cape Breton family, “Making Room” is a very special book indeed. Every so often I find a picture book that has a universal message that I think everyone, including adults, can appreciate. Today's picture book is just such a title. The book is full of gorgeous art, and it has a story that conveys an idea that should be important to all of us. So Nikolai goes to see Leo the turtle who is very old and wise and who may know the answers to the three questions. Nikolai experiences many adventures and dangers. He finds himself helping others who need his aid, and doing so gives him great pleasure. Helping others also helps him to understand the nature of his questions, and the answers to them. This wonderful version of a story told by Leo Tolstoy is powerful and heart-warming. We are reminded that the important things in life are often the things that are right in front of us. All we have to do is look into our hearts and the answers will come. With glorious watercolour paintings that have a definite Asian influence to them, “The Three Questions” is a book which can be enjoyed by readers of all ages. The author provides a note at the back of the book to explain the book and how he came to create it. One of the joys, and trials, of being a parent or a teacher is that your child is constantly bombarding you with questions. Every day you need to find answers to queries, and often you have no clue what the answers are. Thank goodness for encyclopedias, search engines, and Wikipedia.Without them we adults would be up a creek without a canoe or a paddle. Today's picture book uses humor and word play to celebrate a child's curiosity and his never ending search to find out why or how, who or what. What is a person to do when his head is so full of unknowns, so many puzzling queries that seem to have no answer? Should such a person become “frazzled” because he is so baffled by so many things? In this unique and quite addictive book, Calef Brown takes a look at boy whose head is quite literally stuffed with unanswered questions. Many are downright ridiculous and they are deliciously funny. Others are thought provoking and involve a clever play on words. Using gorgeous language that rhymes in interesting ways, Calef Brown shows his readers how you can play with words to get interesting effects. Throughout the book, Calef Brown’s colorful and unusual paintings provide a perfect backdrop to the narrative. Every so often I come across a book of poetry that is so wonderful that I find myself picking the book up and dipping into it on a regular basis. Today's title is just such a book, and if you are the kind of person who loves beautiful language that is rich in imagery, then this is the book for you. Nature is full of colors, and if you take the time to look around, you will come to appreciate the bright reds, yellows, blues, and purples around you. In this gorgeous image-filled picture book, Joyce Sidman explores the changing seasons in terms of the colors that we can explore with all of our senses. She begins with spring, when red birds sing as they perch in the treetops “each note dropping / like a cherry / into my ear.” This is the time when pansies “beam at each other / with bright velvet faces” that are yellow and purple. In summer, the heat of yellow radiates off everything. Tiny hummingbirds with red throats “darts, jags, / hovers” in the garden. In the evenings, the shadows creep across the land so slowly that one barely notices they are there until everything is tinged with purple. In this fabulous book, Joyce Sidman’s incredibly powerful poems are perfectly paired with Pamela Zagarenski’s lovely multimedia artwork. Joyce shows us how colors can be smelled, touched, and heard as well as seen. She gives us a sensory journey that we will be happy to come back to again and again as the seasons unfold around us. Readers of all ages will love this award-winning book. When we read most picture books we are an audience, and we are outside the tale looking in. We don't really interact with the characters. In today's picture book the situation is somewhat different. The story evolves before our eyes, and one of the characters very definitely does not want us to observe what he is doing. This makes reading Don't read this book! a rather unique experience. The King has commissioned his story writer to write a new story for him, and he is not at all pleased because the story is not ready. When the story writer arrives at the palace, the poor fellow explains that he has lost the notes that he wrote about the story. The title is in place though. No, actually only half the title is legible because the paper on which it was written somehow got torn. The story writer and the King know that the title begins with “The Princess and the…” What is the rest of the title? Eager to find the missing piece of paper with the other half of the title on it, the King and his story writer travel to Beanstalk Crossroads, which is where the story writer was just a short time ago. They don’t find the title, but they do find some of the story writer’s notes, and the King finds out that his story “begins with a storm” and there is a princess and a king. This is certainly a good start, but where is the rest of the story? Oh, and who is the stranger who is spying on the King and the story writer? Readers of all ages are sure to enjoy this incredibly funny and very unique book. Readers will find themselves being pulled (almost literally) into the story. They will have to deal with a very angry king who does not want them to read the story. In fact, he becomes quite belligerent about it and he even threatens to throw us into prison. Thankfully the king is trapped on the pages and he cannot do anything to stop the reader from doing exactly what he or she wants to do. So, if you want to turn the page, go right ahead! One of the things that attracts me to picture books is the artwork. These days illustrators are so creative, coming up with so many different ways to create illustrations that are unique and interesting, beautiful and amusing. Meomi, a husband and wife team, create wonderful illustrations that are kooky and full of details, which is one of the reasons why I like their books so much. I also think their characters are charming, and the adventures that they have are delightfully odd. It is a quiet day in the sea, and the Octonauts are all busy. All except Tweak, who is in a state of panic. Tweak tells his fellow crew members that shadows are disappearing. Professor inkling explains that something must be wrong in the Sea of Shade. This is where King Shade, the king who controls all the shadows in the world, lives. The Octonauts must visit him at once to find out what is going on. Quickly the Octonauts pack up their submarine and they carefully travel down a deep rift to where the entrance to the Olde Fangled Caves lies. The Octonauts get very disoriented because they cannot tell if they are upside down or right side up. It takes them days to find the way out, but they finally manage it and emerge in a very grim looking place where everything is gray. The travelers see “shadows hiding behind plants and lurking in the corners,” and it is clear as day that something is very wrong in the Sea of Shade. In this delightful Octonauts title, children are once again able to take a unique journey with Meomi’s intrepid animal characters who take readers to strange, often beautiful, and sometimes frightening places. With incredibly detailed illustrations full of bizarre and wonderful characters, this book is sure to appeal to a wide variety of readers. So often when we humans go out into the country or the wilderness for a holiday, we are so busy having fun that we fail to notice the animals that are our neighbors. Unless of course they are a nuisance. Then we notice them and complain about them. In today's picture book you will meet a family who go to their summer cabin for a little R and R, and who unknowingly share their vacation space with four very creative bears. It is early summer, and the summer visitors are returning to the cabin by the lake. Busily they take their belongings into the cabin, and just as busily their remaining bags, boxes, and packages are being examined by a family of bears outside. In fact, the bears are so taken with some of the things that they find that they carry them off. Later, the human family members sit by the lake under an umbrella enjoying their first day by the water, and around the corner the members of the bear family are having a little picnic and using the things that they ‘borrowed’ from the summer visitors. Similarly, after the human family goes sailing during the day, the bear family members borrow the boat, bathing suits, and life vests and go sailing by the light of the moon. Though the summer visitors notice that some odd things are going on, they never understand why a pie and a cake go missing, why their bathing suits are stretched, and why their boat’s sail is all rumpled in the morning. This book with its minimal text tells a charming story about a family of bears who like the comforts of life but who are determined to keep their presence a secret. Children are sure to laugh out loud when they see what the bears get up to. I, like so many other people, bought expensive and hard to find gifts for my daughter when she was little. Then, when the great day arrived, she was more interested in the gift's box or the ribbon than she was in the gift itself. It was very humbling to finally come to the realization that sometimes a simple gift is better than an expensive one. Today's picture book celebrates the fact that sometimes the best gifts are the simplest of things. Today a little boy is celebrating his birthday, and his Grandma has given him a present. Happily the little boy unwraps his present and discovers that there is a big box under all the brightly colored wrapping paper. The little boy is delighted with his box. When he stands on it he is “taller than a tree” and it is big enough that he can hide behind it. Then he discovers that there is a hole in the box. Could it be that there is something inside it? When the little boy manages to get the box open he discovers that it contains a loveable stuffed animal. Without wasting any time, the little boy names his toy dog Oscar and then the two of them get inside the box. The two friends have places to go and adventures to enjoy. Though presents are wonderful things, sometimes the boxes that they come in are almost as wonderful, or even more wonderful. This board book celebrates the fact that sometimes the best gifts of all are the simplest ones. With brightly colored minimal paintings and an endearing main character, this board book is sure to appeal to little children. A little girl is distraught because she has left her favorite stuffed animal, Loopy, at the doctor’s office. Her mother says that it is too late to retrieve Lootpy and the little girl should “sleep with another toy tonight.” The problem is that another toy simply will not do because another toy is not Loopy. Miserably the little girl imagines what Loopy might be experiencing right now. What if a mean child has found Loopy and is twirling him too hard, pulling his ears, or taking him home? What if this child throws Loopy into the garbage and the stuffed animal is eaten by the garbage truck? What if Loopy has not been found and he “has to spend all night alone in the dark with the doctor’s office ghosts?” The child is determined to save her precious Loopy, but how is she to do it? Readers of all ages will appreciate this sweet book with it imaginative main character who is bereft when she finds out that she has left her favorite stuffed animal somewhere. Aurore Jesset’s simple text perfectly captures the child’s voice and her fears, and it is beautifully paired with Barbara Korthues’ spare illustrations. Learning new words can be a lot of fun for young children, especially if their grownups turn the adventure into a game that is enjoyable. In this clever picture book, children will meet a parrot who loves to collect words and turn them into songs. Perhaps his story will inspire young readers to create their own word songs. First he visits Manuel’s Bakery where he collects a tasty selection of words like “cupcakes” and “cookie cutter.” In Clive’s music studio he finds words like “flute” and “violin.” “Masterpiece” and “clay” float around Aurora’s art studio, his next stop. After visiting Malcolm’s market and Cynthia’s dog park, Pepi heads home, his head bursting with words. Is he going to be able to make up a song that Peter will like? In this delightful and very unique picture book Laura Ljunkvist pairs a simple text with her digitally rendered art to give young children a wonderful word filled adventure that has a perfect ending. When I was in school, we unfortunately didn't study much poetry, but my father enjoyed sharing his favorite poems with me. One of these was a poem by William Blake. Today I have a collection of William Blake's poems to share with you. William Blake was one of the world’s great artistic personalities. He was an artist and a poet who liked to combine his illustrations with his poems to give readers a special experience as they explored his work. A strong, wise, and simple man, he scrutinized the world around him, trying to better understand and appreciate what he saw. For this book, the editor has selected poems from Blake’s collections, Songs of Innocence and Songs of Experience. He has also taken excerpts from some of Blake’s more complex writings to share with readers. For each of the poems, the editor gives readers background information in a short introduction, and for each there is a glossary to explain some of the words that might be unfamiliar. This is an extraordinary collection of poems that will not only introduce readers to William Blake’s poetry, but it will also help readers to better understand the poet, his art, and his world. When I was eight or so I started to take horse riding lessons and I loved them. Then one of the horses decided to roll on his back when I was riding on him and I nearly got squished. Though I got back on his back after this event, I lost my nerve and stopped riding for a while. Getting your nerve back after an unnerving experience is never easy, no matter how old you are. In today's picture book you will meet a famous spider who almost gives up something she loves to do because gets frightened. The Eensy Weensy spider has been washed out of the waterspout and she is not happy. Actually, that is an understatement. She was “freaked out” by her experience and she is not going to climb anything again. Eensy carefully climbs a potted plant, and though it wasn’t easy, she is pleased when she finds herself at the top. As she admires the view, Polly congratulates Eensy and suggests that she should climb a fire plug next. At first Eensy is appalled at the idea, but then she gives it a try. Could this be a new beginning for Eensy? Most children know the rhyme about the Eensy Weensy spider who has the misfortune to be washed out of a waterspout. Now they can find out how this dreadful sounding event affected the spider and how she had to work very hard to regain her courage and her love of climbing. With a loveable main character and a meaningful message that is beautifully and amusingly presented, this is a picture book that children and their grownups are sure to enjoy. Everybody has something that they are good at, but is isn't always easy to figure out what that something is. Today's picture book tells a delightful story about a stuffed animal who finds out what his special gift is. There is a new toy in bedroom and his name is Bumbletum. The other toys welcome him and then they ask him what he does. Bumbletum is sure that he does something good, what he doesn’t know what it is yet. The toys decide to help Bumbletum to figure out this puzzling matter. Sometimes it is hard to find out what your special gift its. You have one, but you don’t know how to find it. In this charming picture book, we join a group of toys who do their best to help a rather strange stuffed animal find out what his métier is. With charming characters and a sweet story, this is a book that every child should read. It will put a smile on a face, and give a heart a warm “soft and snuggly” feeling. 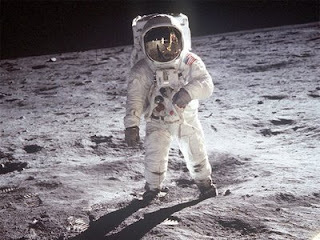 On this day in 1969, human beings walked on the moon for the first time. As millions of people watched, Neil Armstrong and Buzz Aldrin landed on the moon and took those first incredible steps. Over the years I have been lucky enough to review some wonderful books about the moon landing and you can see my reviews on the Through the Looking Glass Book Review website in the Man goes to the Moon feature. There are some wonderful titles in this collection, and I hope you find a title or two that you would like add to your library. Here is a video of that famous landing. Enjoy! Search-and-find books can be a lot of fun. 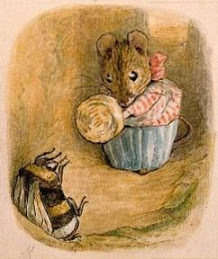 Some authors create incredible photographic scenes for children to explore, and some create illustrations that are full of details that are interesting and often amusing. Today's book is a stunning example of an illustrated search-and-find title. Most of take the world around us for granted. We don’t take the time to really look at the little details, the cool stuff that is happening right under our noses. In this book, Bob Staake invites us to explore some truly bizarre worlds full of incredible animals, people, robots, aliens, and otherworldly creatures. He challenges us to really look and see. There are very few words to read in the book, most of the words being rhyming invitations to “Look!” and to find certain things in the artwork that he shows us through die-cuts on the pages. For example, our first seek-and-find challenge is to “Look!” to find “A book! A hook! A cowboy cook!” When we turn the page, we are presented with a double page spread showing “Weird and kooky things that go!” Which is an understatement. In the artwork, (among other things) we can see a zebra flying a biplane, a tiger flying a very strange looking flying machine, a bear riding a peculiar looking green bicycle, and a bird driving a truck that delivers escargot. The TTLG 2011 Picture Book Celebration: Book two hundred! Today is the 200th day in this picture book celebration. Thank you all for sharing picture books with me for these two hundred days. Today I have a graphic novel for you that is funny, often silly, and yet that also looks at problems and issues that are very real for many children. Using humor and colorful characters, Jimmy Gownley gives his readers an entertaining AND thoughtful book to read. Two months ago, Amelia’s mother and father split up. Amelia and her mother now live with Aunt Tanner, and Amelia still hasn’t unpacked her stuff. She has a new friend called Reggie and a new enemy called Rhoda who likes (yes in that way) Reggie, and who therefore considers Amelia to be a threat. Amelia is inclined to think that everyone in her life is crazy. She is the only sane person around. Reggie is obsessed with superheroes and he likes everyone to dress up as a superheroes. One day Amelia, Reggie, Rhoda, and Reggie’s friend Pajamaman meet in the G.A.S.P (Gathering of Awesome Super Pals) headquarters and Reggie proposes that they should do something about two bullies who have been terrorizing the neighborhood for years. For some reason he is convinced that his cape will protect him when he confronts the two. Actually, his cape is no help at all, but his allergies are! On the first day of school, Amelia walks to school with Reggie, Rhoda (who still hates her) and Pajamaman. She soon identifies the cliques in the school, and all of them are familiar. The only one that she does see are the “nerds.” Where are they she asks. Which is when she finds out that Reggie, Rhoda, and Pajamaman are the nerds in the school. Amelia is a nerd “by association.” Fantastic. In no time at all Amelia ends up in the principal’s office for being “disruptive.” Surely her first day in school cannot possible get worse. Ah, but it can because there is gym class ahead. There is no doubt that young readers who enjoy graphic novels are going to love this book. Though Amelia’s adventures are outrageously funny, there is a thread of true-to-life-experiences running through the book that young readers will quickly pick up on. Amelia is having a hard time adjusting to her new life, and she feel helpless because she has so little control over what happens to her. This is surely a feeling everyone can identify with. This is a first in a series of graphic novels about Amelia and her friends. For many people adjusting to a change can be very difficult. We don't want to have to get used to a new person or a new situation. What is wrong with things just as they are? In today's picture book you will see how one cat struggles when a change is brought into his life. One day Bandit the cat’s owner, Michelle, takes his cat carrier out to the car telling him that she will be back soon “with a surprise.” Naturally, Bandit is keen to find out what kind of surprise is in store for him. Will it be a new toy or a tasty treat? When Michelle comes home, Bandit finds out that Michelle has brought home a kitten called Mitzy. Bandit is not at all happy about the new arrival. No one asked him if he wanted a new kitten! Mitzi eats Bandit’s food, drinks his water, uses his little box, and then she commits the ultimate sin; she starts to play with his toy mouse. This is more that Bandit can stand, and he swipes at then kitten who starts to cry. Michelle scolds Bandit for scaring the kitten, which is when Bandit decides that he is not going to stay in a house where he is not wanted. Out the window he goes. Though this amusing and sensitive story is clearly about a cat, it is very relevant to young humans who have to adjust to having a newcomer in the midst. Getting used to change is not easy for cats or humans, and reading Bandit’s story will help children to understand that their feelings regarding a new sibling or a new adult in their life are perfectly normal. Told from Bandit’s point of view (using speech bubbles) and in the third person, and using comic book style art, this second story about Bandit is sure to be a firm favorite with young readers and their adults. Poetry Friday - A review of Hey There Stink Bug!